Enjoy a stay in the heart of London - England's amazing capital city - you can include a free 60-day digital tastecard to make this a real foodie break! 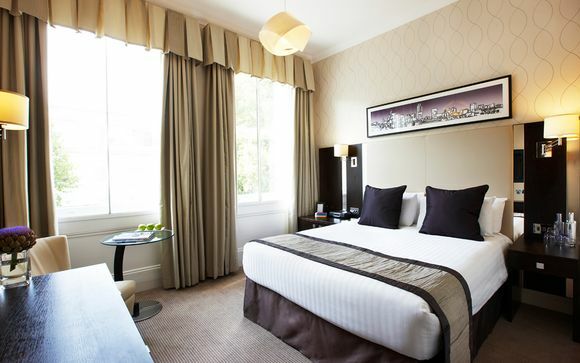 This luxury hotel in Kensington London is conveniently located near all the top top london attractions. 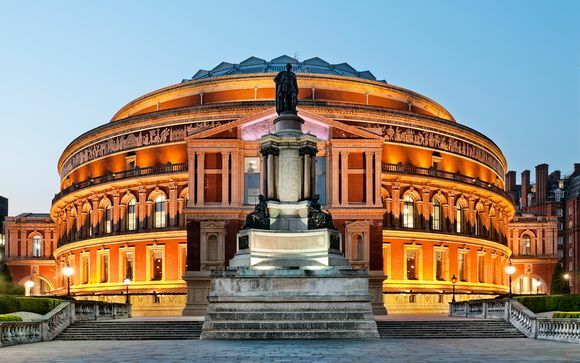 Guests to this Kensington hotel are perfectly positioned to explore Hyde Park, Earls Court & Olympia exhibition centres, Royal Albert Hall, Harrods, Kensington High Street, Natural History and Science museums and only 75 metres from Gloucester Road tube station. This boutique-style hotel in Kensington London offers guests the benefits of modern facilities including the new Rydges Dream Beds, air-conditioning and complimentary wireless internet throughout. The hotel has undergone a £5 million refurbishment of all guest rooms and facilities including the gym and state of the art conference rooms. Combine the location, facilities, genuine hospitality and service of Rydges Kensington London and you’re assured a comfortable stay. This offer is based on an upgrade to a King Executive Room. Bespoke rooms located on the higher floors of our Hotel. Indulge yourself in the executive features of these rooms including luxurious amenities, an espresso coffee maker, HD media hub, complimentary reading material, plush bathrobes and slippers. Free WI-FI and cable internet access. Executive King rooms feature a British king size bed (200x157cm). This offer is based on a bed and breakfast stay, guests will receive a Full English Breakfast. Mouthwatering food and artfully-crafted refreshments are the heart of the experience at Rydges Kensington London. Relax for the day at any ofthe hotel's Kensington restaurants. Stop by The Jam Cupboard and enjoy its contemporary style, cocktail bar and endless food menu. Later on, visit the Polo Bar Kensington and delight in its traditional English bar, cozy fireplace, delicious snack menu and live sports coverage. Transfers: Transfers are not included with this offer. Your nearest Underground station is Gloucester Road, a 3 min walk away.